Pofung? A new name, but don’t expect anything interesting to happen. From what I could find all Pofung radios are identical to the ones we already know. The name was spotted by Craig N7LB on the Baofeng website. 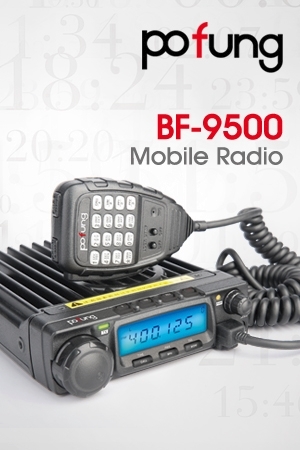 What Baofeng can do now – and already does – is re-branding products from other manufacturers. One of these products is a mono-band mobile transceiver we all know to be manufactured by Anytone, the AT-588. In my opinion all of this is only muddying the waters even further, which is the last thing we want. 1. I understand that you like to use cool English idioms. I didn’t see any of the re-branders do that. 2. I think Pofung is a bad choice, people are probably going to pronounce it PooFung. 3. If people want to find out what each Baofeng/Pofung radio is about, I found this pages, that includes the description and comparison charts of what’s in the radios. (I’m sure people will find this information useful, as this will answer some of the common questions people keep asking here and in other places). Say it is a problem of phonetic pronunciation with Baofeng. The new logo is very ugly. The graphic design is to bad. http://www.baofengradio.com/en/shownews.asp?id=28 here is the detail. I suppose someone else has bought Baofeng, so they had to change their name. I dont see it as muddying anything.